No one really likes to be stuck at an airport. For the most part it is nothing short of a nightmare. You may have missed your flight, made an error, or simply be subject to a delay or a stopover. Usually this involves mulling around, drinking overpriced coffee, and twiddling your thumbs until everything gets sorted. Changi Airport took the Skytrax number one spot for 2013, as the best airport in the world, and it is not just the services and cleanliness of the place that make it so; Changi is the best airport you could possibly get stuck at because it has all the hallmarks of a holiday resort. You can go for a swim, relax in a spa, and take a walk around a butterfly garden. You nearly forgot is was an airport then, didn’t you? Then there are masses of shopping splendors, restaurants which actually serve high quality food, parks to relax in, and to top it all off, a four story slide. You and your family could happily stay here for a week. Schipol is an airport that captures the essence of the hedonistic culture of the city of Amsterdam. It features massage parlors, so when you receive word of your cancelled flight, you can simply have the creases ironed out of you by a professional stress reliever. With your stress alleviated, you can move on to the airport casino, and try your luck at roulette, the slots, or settle down to a drink and a game of poker. If you are wondering how your partner and kids are going to settle in at Schipol do not despair; there is also a library and cafes, where they can relax with a good book. 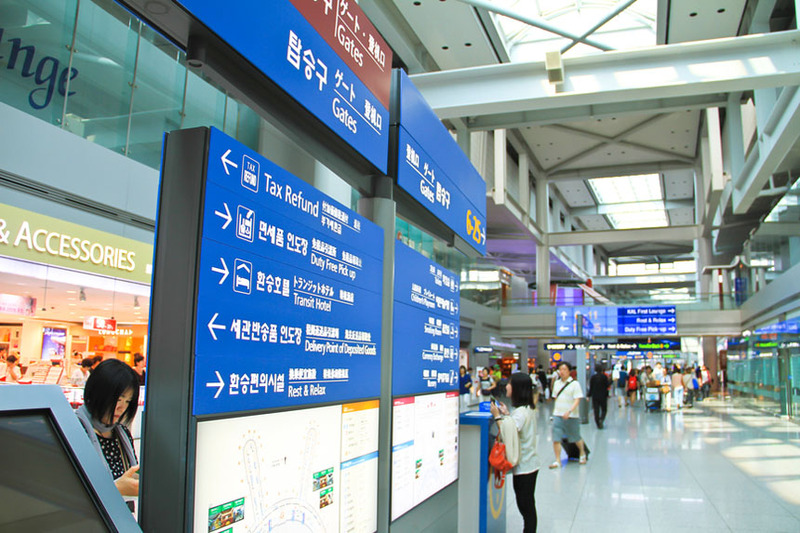 Winner of Skytrax best airport from 2005-2012, Incheon is another one that won’t disappoint you if you have to stay over. Its main feature is a large sized museum of Korean history, so you can learn something about the country. Apart from this it features great shopping, and some of the finest local cuisine out of any airport in the world. When you get bored of shopping, eating, and visiting museums, it also has widely accessible internet access, so the whole family can glue themselves to the screen until it is time to fly. Incheon is definitely an airport where you can forget that you are stuck. Hong Kong International could have featured higher in the list, for it is an exceptionally entertaining competitor. It comes forth only because of the stiff competition before it. Hong Kong International Airport has a unique feature that will appeal to the lover of a certain sport; it features a nine-hole golf course in the airport building. Whilst you pitch and put away, your family can enjoy some of the best shopping that an airport has to offer. That should kill a few hours at least. Vancouver Airport is considered by Skytrax to be the best airport in North America. It has a whole array of high quality restaurants, shopping, and is comfortable and spacious. What is most unique about Vancouver Airport, is that it features a collection of Native art, including huge totem polls, and other displays. It functions as both an airport and an art gallery, making it one of the most interesting places to get stuck at an airport.